Thank you for considering the Magnolia Room for your event. Our staff strives to make your event perfect. Our indoor and uncovered outdoor space is ideal for intimate weddings,private corporate events, and special birthday celebrations. You might enjoy our bridal suite, full bar, and catering options to make event planning simple and stress free. If you need assistance in planning your event, please feel free to call. Our in-house Special Events Coordinator is just an added extra bonus that we offer when you book your party with us. 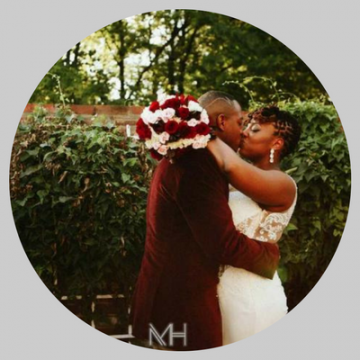 The Magnolia room is perfect for weddings with up to 150 guests, and with over 17+ years of experience, you know you're getting the best of everything! And we aren't just a venue. We provide catering for your reception as well as attendants to ensure that you and your guests are getting everything that you need for a stress-free and amazing wedding day. And don't forget about our in-house Special Events Coordinator. This service is an invaluable added perk offered just for booking with us. At the Magnolia Room, you can let the good times roll! 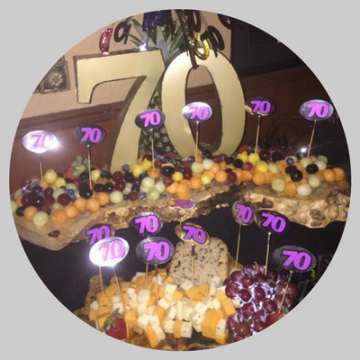 Parties are our specialty, and we not only provide the perfect location, we offer amazing food sure to satisfy even the most discerning guest. Take advantage of our glamourous venue for bridal showers, graduation parties, and more! One look at this magnificent location and you won't want to go anywhere else. No matter what the occasion, you can't go wrong when you choose the Magnolia Room! We offer magnificent catering with stellar service and even an in-house Special Event Coordinator to help you plan your evening. We offer glassware, tables, chairs, flatware, linens, set up, and many other event services. 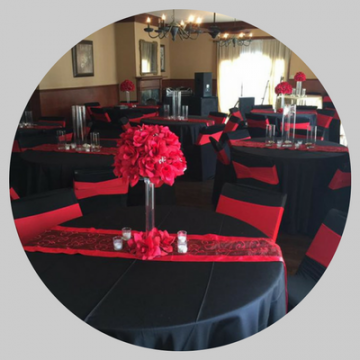 Let our professional team help you coordinate your next promotional event or surprise party. Room rental for daytime functions are discounted by 50% if the event is over by 4:00 PM. Room rental includes: The room, clean up of the room, linens, tables, chairs, china, glassware, silverware and stemware. For Christmas parties the room comes fully decorated. For weddings, room rental also includes: One hour for the rehearsal the day before the wedding (time depending upon other parties that may be booked), our in-house wedding coordinator, as well as a beautiful bridal suite upstairs for the bride's dressing area. Note - This does not include gratuity (18% of food and beverage) as well as additional rental fees or applicable taxes. Outside catering has a $150.00 delivery fee plus mileage.